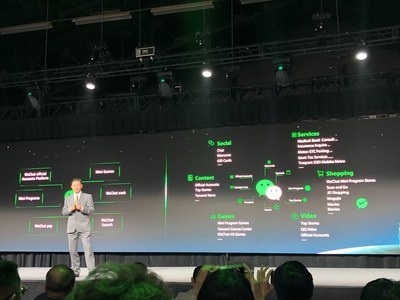 Entries from Digital Intelligence tagged with "wechat"
Would you pay $750,000 for a single self-destructing ad? That was the estimated cost of a day-long ad on SnapChat- but with new data suggesting the chat app's video views are rivaling Facebook, it could be money well spent. As part of our review of the year, we look back at the key trends that shaped social media marketing in 2015, including the Google+ reboot, China's social surge and the phenomenon that was #TheDress. The average Chinese adult reads news and other material on smartphone app WeChat twice a day, for a total length of more than 40 minutes, according to new research. Rémy Martin has partnered with the Chinese social media giant WeChat on its first advertising initiative. WeChat has updated its mobile messaging app with a feature that lets users to make money transfers to one another by generating a unique QR code. 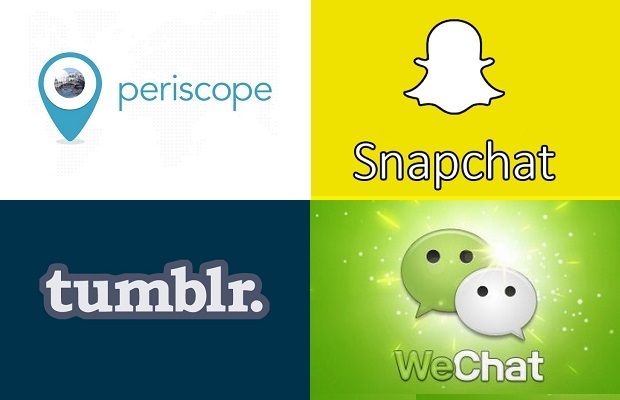 The use of WhatsApp, WeChat, Line or SnapChat is booming all around the world. 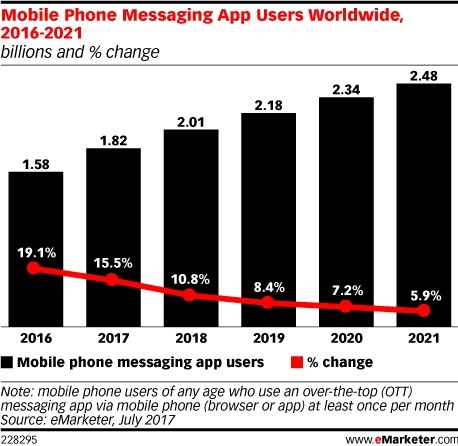 Social media agency KRDS, has produced this infographic on the top 10 messaging apps today, along with their features and their marketing potential. Twitter IPO could make the micro-blogging platform a serious Facebook rival for advertisers… if it can make the most of its live event–orientated audience data. 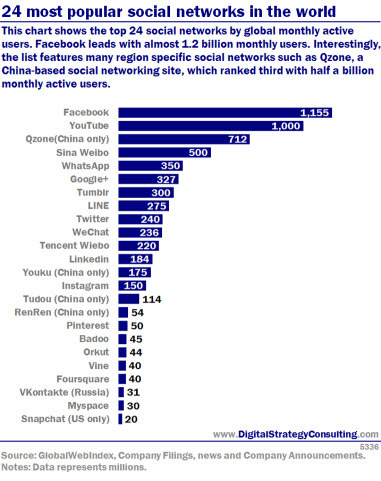 Chinese Social Networks are begining to expand to western markets, bringing with them huge user numbers and targeted demographics. Facebook is reportedly seeing a decrease in its daily users, especially teens, who have started to prefer mobile messaging apps like WhatsApp, SnapChat and WeChat, over the social networking giant. China-based mobile chat app WeChat has reached 100 million registered international users, after doubling its user base in last three months, as the firm looks to rival WhatsApp on the global stage.